Have you ever heard the term topographical mapping? A simple/basic definition is: The detailed representation of both natural and man-made features of a specific land area where contour lines indicate increase and decrease of elevation. For the writer who is creating in-depth character elements this concept can be most useful. 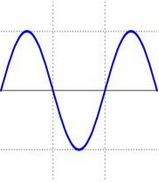 Many creative writing instructors suggest using a highs-and-lows format to develop the emotional peaks and valleys a character will experience, demonstrated in this illustration. 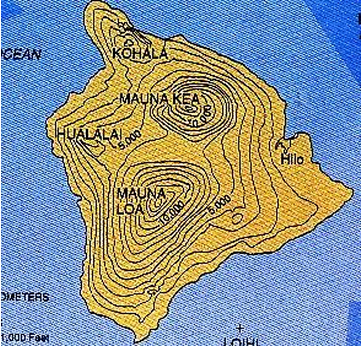 However, it is my hope that serious authors will consider the visual elements of topographical mapping that offers almost infinite possibilities for character development—realizing the myriad of choices to be made all along the way—demonstrated by this topo-map of the island of Hilo in Hawaii. Using this island image, and placing your characters IN the city of Hilo, can you see how many choices they will have in reaching their destination? And their selected path will depend on all the pieces of their personal life-development up to that point in time—where they have lived, who resided in their environment, what motivational seeds were set into them, and their physical abilities, capabilities and/or disabilities. It is the job of the AUTHOR to know the WHY of each step your characters take. Here are a few questions to ask yourself while in these development stages. Why is your character at that place at that specific time? Who else is involved—or will reap the consequences—of your characters’ choices? When must they complete the process to reach their goal? Where do they anticipate being (physically, emotionally) after their goal is reached? What is the driving force behind this immediate quest? What rational are they using to make each step? What will happen if they fail? We have multiple examples in the classics of book writing that teach us not only superb character development, but also the motivation of compassion: being able to put yourself in the other person’s place and understand why they act the way they do even if you don’t agree with it (To Kill a Mockingbird by Harper Lee, Boy in the Stripped Pajamas, by John Boyne, The Book Thief by Markus Zusak, Unspoken: A Story from the Underground Railroad by Harry Cole).